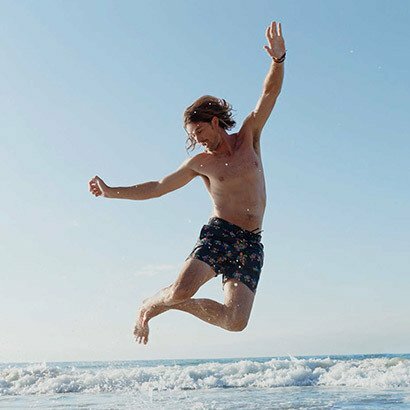 Sail away to a colourful paradise in the Moorea Turtle Leaf Print Swim Shorts from Vilebrequin. Cut to the brand’s legendary and original Seventies shape, they’re enhanced by two side pockets, an elasticated waistband and a drawstring with stainless zamac tips. The back pocket with a hook and loop fastening is applied by hand to match the pattern exactly for a premium finish. Team with a white tee for an effortless style when out of the water.